Fort Walton Beach is located between Eglin Air Force Base and Hurlburt Field in Okaloosa County, Florida. The city offers plenty of outdoor fun with beautiful sandy white beaches, boating, water sports, fishing, and several local festivals. Also downtown Ft Walton boasts eclectic restaurants, shops and plenty of night life. With a population of around 22,000 and A+ schools it’s a great place to live or visit. With the Destin – Fort Walton Beach Airport just a few minutes away, Pensacola airport about 45 miles away, and the Panama City International airport about 60 miles away the area is within easy reach. As a result of its location Fort Walton Beach has a very warm humid subtropical climate. While the area experiences hot and very humid summers and it also averages about 69 inches of rain per year. Browse all the Fort Walton Beach Florida real estate listings available and call me if you have questions 850-499-0778. Centrally located Fort Walton Beach complex with a Washer and dryer in unit! 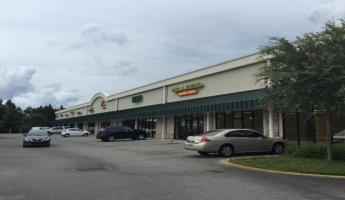 Conveniently located, this complex is close to everything - shopping, both bases, Fort Walton Beach Medical Center, restaurants, schools, and daycare centers. 1 bedrooms and 1 full baths. The kitchen area includes refrigerator, oven, range, and dishwasher. No smoking. No pets. This beautiful 3bd/2ba/2car, 1945 sq ft home is conveniently located 1 mile East of Hurlburt--opposite of Navarre traffic, with quick access to Hurlburt, Eglin, and the surrounding cities. OPEN HOUSE FRIDAY 5pm-7pm, SATURDAY 8am-10am, SUNDAY 1pm-3pm! Location, Location, Location!! Beautiful 5 Bedroom/ 3 Bathroom All Brick home built by BARBER CUSTOM BUILDERS, Inc.. Located on the highly desired well established neighborhood of Poquito Bayou. Over 2,700 Square feet Open Floor plan with grand foyer 8 foot doors, 9 foot ceilings throughout the house. The water views from this 3/2 condo are amazing! The large balcony is the perfect setting for that morning cup of coffee or tea to start the day or relax in the evening with a nice glass of wine. Located on the 2nd floor this unit features stainless appliances and granite countertops along with a washer and dryer. Welcome home! This stunning home on a beautiful tree-lined lot has been lovingly updated and it shows. Walking in, you're greeted by a completely open floor plan. A large living area boasts beautiful tile floors and looks into a chef's kitchen with a gorgeous island, and plenty of counter space! A large second living area could be a great office space. This unit was formerly a salon. Plumbing is in place for hair sinks and a kitchenette/wash sink has already been plumbed out. Perfect space for salon, spa or other retail.Price includes CAM charges. Utilities not included. Deep water access for your yacht! Well Cared for by one family, this lovely brick 6 bedroom, 2.5 bath home is situated on Good Thing Lake. Just inside the entrance of Gardner Bayou from Choctawhatchee Bay, you'll have easy access to Destin and the Gulf of Mexico. Welcome Home! This 4-bedroom, 2-bath home has been COMPLETELY RENOVATED. Some updates include fresh paint, smart thermostat and smart lock, new blinds, granite countertops, newer tile/engineered hardwood and updated appliances! Split floor plan allows for privacy from the additional bedrooms. Both bathrooms showcase tiled tubs and updated vanities. EXECUTIVE CLASS A OFFICE SPACE in the highly sought after LANDMARK OFFICE CENTER located Downtown Fort Walton Beach! Space includes access to the executive conference room, kitchen, and restrooms. Tropical paradise at its finest! Wonderful gulf views from this 2 bedroom 2.5 bath unit plus bunk alcove. Both bedrooms are separate suites with king beds in each. Easy pool access from this second floor unit. Wonderful 2 bedroom/2.5 bath in the lush Waterscape Resort. Rental machine grossing in 2017 $46,478 and 2018 $49,917. This large 2 bedroom features tile in the living area, king beds in both bedrooms with a bunk alcove making it the perfect family retreat. Easy pool access from this second floor unit.